Interested in supporting the Open Infrastructure community by closing the feedback loop between operators and developers. 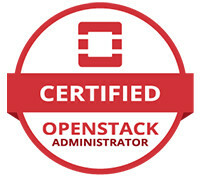 In addition to managing the OpenStack Foundation web properties and Summit mobile application development, Jimmy works extensively with the OpenStack User Committee and Operator community. Alongside the community, he is actively working on ways to close the feedback loop between OpenStack operators and developers including his work on the annual User Survey, Ops Meetups, and day-to-day community management. Outside of wearing many hats at the OpenStack Foundation, he enjoys cooking, traveling, and having the best chili in Texas. OpenStackID - Get on board!